When a plane roars by overhead it gets attention. It gets even more attention when that plane is a 1929 biplane with a jet engine that makes it louder than one would expect. So loud that it will cause the more than 400,000 people from the tri-state area that will attend the Bethpage Air Show to look up in surprise. “It makes a ton of noise. They don’t expect it from the plane,” Jeff Boerboon, the pilot of the plane named the Screamin’ Sasquatch said. 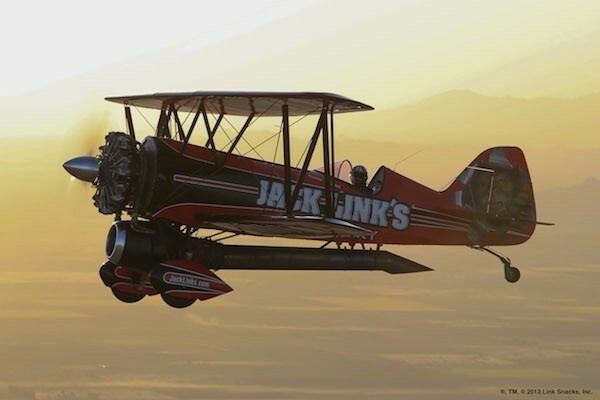 The Screamin’ Sasquatch is a 1929 biplane that until this year hadn’t been flown since World War I. It has a state-of-the-art jet engine, which accounts for making it loud and 3,000 pounds of thrust, which lets the plane fly vertically. 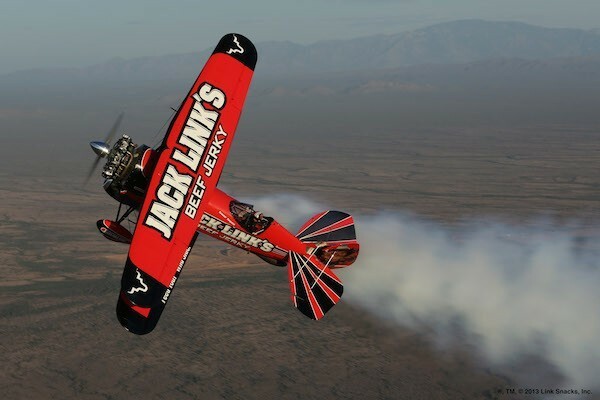 Boerboon is a member of John Klatt Airshows, which partnered with Jack Link’s to bring the Screamin’ Sasquatch back to life. 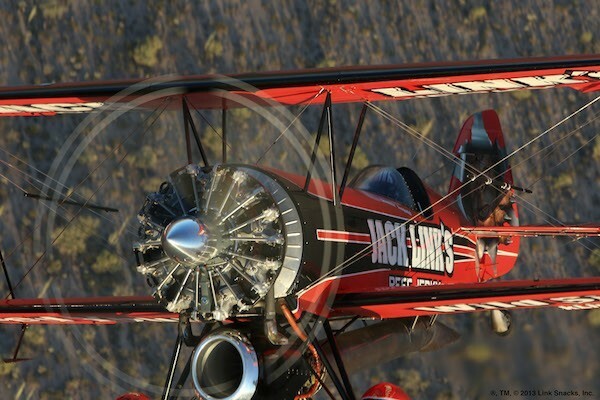 They spent the past 13 months outfitting the biplane with a Pratt & Whitney 985 radial engine and 3,000 pounds of thrust. It debuted at an air show in Rhode Island earlier this month. The Bethpage Air Show will be the second show of the season for the Screamin’ Sasquatch. 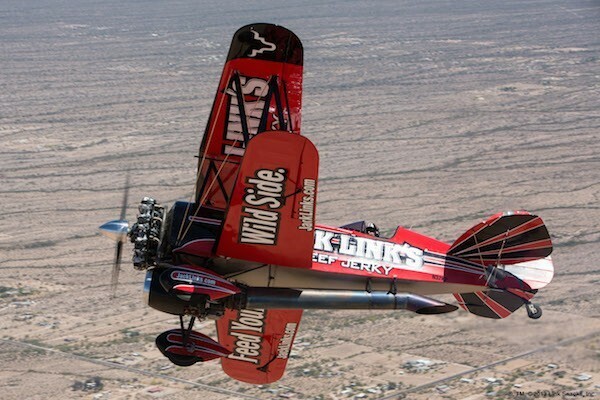 The stunt aircraft will spin, flip, and more at the show. “We’re excited to be here, showing off with the jet engine,” Boerboon said. The Bethpage Air Show at Jones Beach State Park is in it’s eighth year and John Klatt Airshows has participated for a number of years. This year the U.S. Navy Blue Angels will also return to the show. “This is a big weekend for us,” Boerboon said, adding that most importantly it’s a Memorial Day Celebration and they’re remembering all those that died while serving in the armed services. 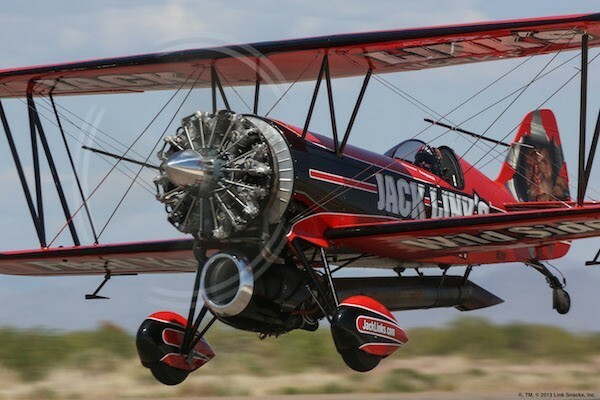 Boerboon and the plane will also have a booth at the show where people can stop by and get to know more about the plane, John Klatt Airshows and Jack Link’s. 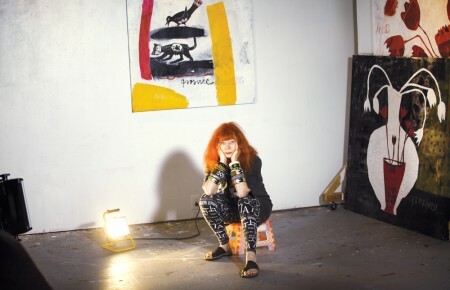 May 24 and 25 10 a.m. to 3 p.m. Admission: $10 vehicle use fee, no entry fee.